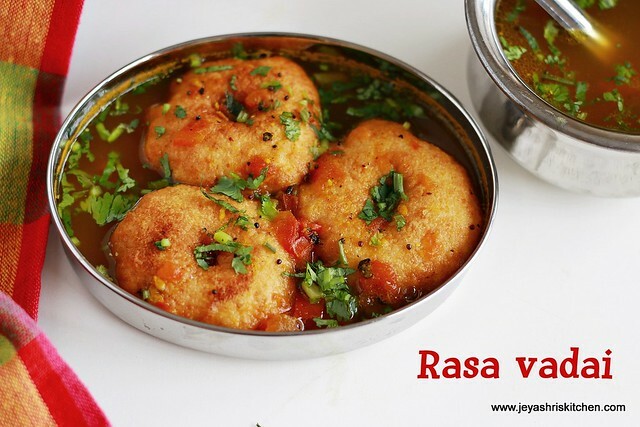 Rasa vadai | rasam vadai, is a popular south indian tiffin| snack. I hvae tasted this first in Sangeetha restaurant in Chennai. Me and suresh used to visit on most of the friday evenings, while coming back from work. My sister only insisted me try the rasa vadai there. After that, i never had a chance to taste the vadai. But my sister is an expert in making this and for a long time she was telling me to post the recipe of rasa vadai. 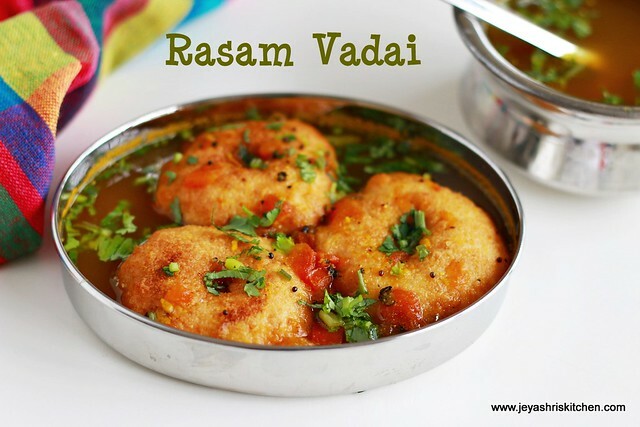 It is nothing but soaking the vadai in rasam but the recipe of rasam makes this dish so yum. Scroll down to the notes section to read out the tips. Enjoy your weekend with this vadai. I don't know whether i have justified her recipe but according to me it tasted awesome. 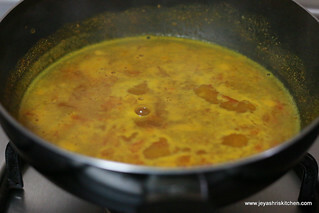 Check out my Sambar vadai recipe and thayir vadai recipe. *If you do not have rasam powder, dry roast the following ingredients and either powder it or grind this into a fine paste. 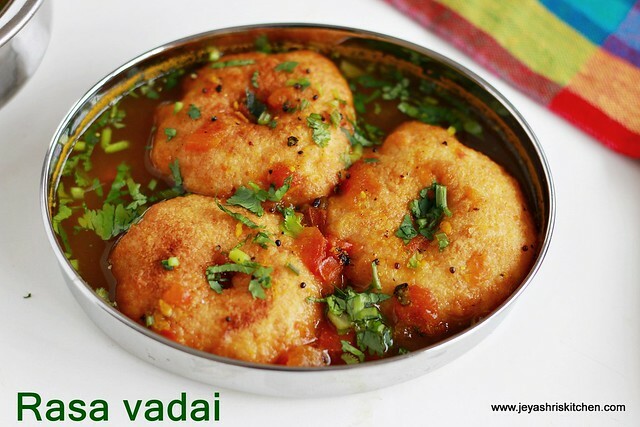 Check out my ulundu vadai post to see how to make vadai. I have linked the recipe in the ingredients list. Do not add onion to the vadai. Soak a small gooseberry sized tamarind in hot water and take a thin extract using 1 cup of water. 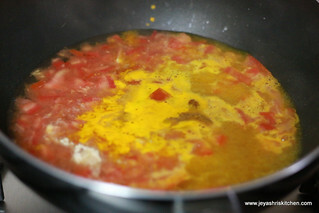 In a pan add the tamarind water, rasam powder, asafoetida, salt and finely chopped tomato. 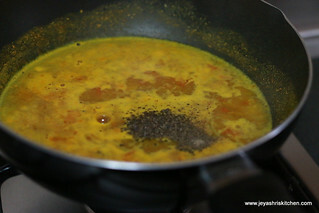 Keep the cooked toor dal ready by diluting it with 1 cup of water. If using the freshly ground rasam powder add to the tamarind extract mix. Allow the tamarind mixture to boil for 5 to 7 minutes in a low flame. Add in the toor dal water to this and when it is frothy switch off the flame. Add the freshly ground pepper. Even if you are using fresh rasam powder add this fresh ground pepper. Temper with mustard seeds. Add curry leaves and coriander leaves. Keep the rasam piping hot. Make vadais on the other side and in a serving bowl, add the hot vadais and piping hot rasam. Garnish with coriander leaves and serve immediately. 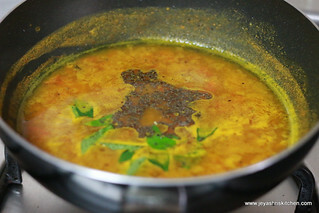 The pepper flavour of the rasam is the key in this rasam, so add it without reducing. Do not add the toor dal more than the quantity mentioned. Do not grind the tomato, it will make the rasam cloudy. For this rasa vadai we need more thin diluted rasam. In tamil theliva only venum not the mandi. Always pur the rasam piping hot. Also let the vadais be hot, if not warm. If it is cold or if you are making with left over vada, dip the vadai in piping hot water and gently squeeze out the extra water and dunk in rasam. Always serve immediately else will be soggy and dissolve into pieces.